Pennsylvania has an electricity problem. Pennsylvania’s population is only slightly larger than neighboring Ohio’s, but Pennsylvania generates almost twice as much electricity. This is good for Pennsylvania electric companies and bad for Pennsylvanians who breathe pollution from coal plants that power other states. Low-income people are particularly affected by pollution from power plants. Six of Pennsylvania’s seven coal-fired power plants are located in areas where, within a three-mile-radius, at least 30 percent of the population lives under the poverty line. 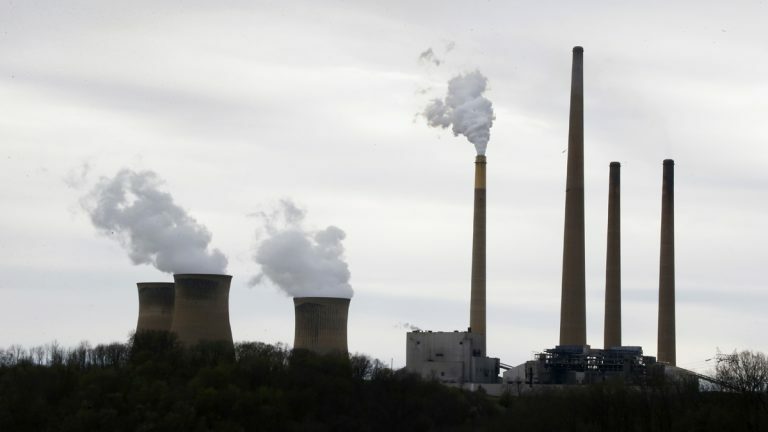 There is much incentive for Pennsylvania’s power plants to burn coal, but there is almost no incentive for Pennsylvania utilities to develop clean power. Pennsylvania’s energy companies are permitted to buy their solar requirements out of state as opposed to promoting solar in Pennsylvania. Fossil fuel electricity is big business in Pennsylvania, giving elected officials little reason to encourage conservation. In 2009, the United States Environmental Protection Agency determined that greenhouse gas emissions threaten the public health and welfare of all by creating serious climate changes. Carbon dioxide is the primary greenhouse gas pollutant, accounting for nearly three-quarters of global greenhouse gas emissions. The EPA’s Clean Power Plan is the nation’s first effort to slow climate change by limiting carbon dioxide emissions from their largest single source, coal-burning power plants. The plan presents unique opportunities for Americans to change the way we think of energy. America’s first priority should be using energy more efficiently: From more-efficient buildings, (i.e. upgrading building codes) to more-efficient power plants (combined heat and power). Philadelphians are ahead of the curve on energy conservation. Households in the city consume considerably less electricity than their suburban counterparts. Gwynedd Valley, Gladwyne and Villanova households on average consume more than double the kilowatt hours of any neighborhood in Philadelphia County. Unfortunately, because of the city’s considerable quantities of asphalt, poor housing stock and proximity to water, Philadelphians feel the effects of climate change more. Daily Philadelphia weather records started in 1872. Disturbingly, 63 daily record highs have been set on or after the year 2000, compared to five record lows. Philadelphia’s rainiest summers ever were 2013 and 2011, creating a hot and wet environment conducive to dangerous mold. Extreme heat and precipitation put more stress on our bodies. More heat creates more ozone (smog). Between 2000 and 2010, childhood asthm-related hospitalizations in Philadelphia doubled. Not only do one-in-four Philadelphia children have asthma; more than 1 percent of Philadelphia children will be hospitalized because of an asthma attack this year. That’s over 3,000 kids. Pennsylvania’s infrastructure is also suffering the effects of climate change. SEPTA will spend $116 million over the next five years to prepare for extreme weather, and in 2014 alone Pennsylvanians received over $15 million in flood insurance payouts. Only Florida and Alabama were given more federal tax dollars to alleviate flood damages. The costs of climate change are clear and growing. The damages brought on by burning coal are easily identified. In 2004, the PA Bureau of Abandoned Mine Reclamation conservatively estimated the cost of recovering the state’s abandoned mine land at $14.6 billion. Rather than charging this to the coal industry, taxpayers and all those who breathe Pennsylvania’s air pay the cost. Pennsylvania’s 14 waste-coal power plants are billed as an environmental program to reclaim land abandoned by the coal industry, but they are glorified incinerators, using public funds to generate some of the dirtiest energy available. Pennsylvania’s 14 waste-coal plants generate a combined 1,402 MW (less than a single coal plant) while releasing more lead than our seven major coal-fired power plants combined. These major coal plants produce 8.5 times more electricity than our coal-waste fleet while both fuels produce between 6 and 7 thousand pounds of mercury annually, each. Pennsylvania needs to stop apologizing for the coal industry. The most recent coal generation unit in the state went online in 1980. What has the coal industry done to modernize and protect its customers from climate change? Pennsylvania’s 2015 Climate Impacts Assessment Report details a frightening projection: Increased asthma attacks, West Nile Virus and Lyme disease in addition to less clean water because of more damaging storms. Pennsylvania has led America in coal and oil development. The most important energy source of this century will be conservation. Sept. 30, 20151 p.m. – 4 p.m.
Joseph Otis Minott, Esq. is executive director of Clean Air Council, a member-supported, non-profit environmental organization dedicated to protecting everyone’s right to breathe clean air.